Included in 2016-2020 NFMC Bulletin Students can start the Schaum Primers after just 6-8 weeks of study! They feature big notes that are easy to read and 5-finger position arrangements. The books include lyrics and illustrations to spark the interest of young players and also include optional duet accompaniments so students can be wowed by how good they sound playing with their teacher! 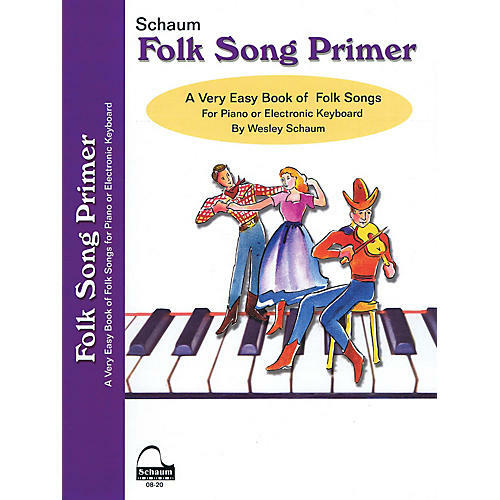 The Folk Song Primer includes: Bear Went over the Mountain · Big Rock Candy Mountain · Blow the Man Down · Blue Tail Fly · Clementine · Cockles and Mussels · Down in the Valley · Goodbye Old Paint · Had Me a Cat · Lil' Liza Jane · Little David Play on Your Harp · O Where Has My Little Dog Gone? · Shoo Fly · Shortnin' Bread · Skip to My Lou · Sweet Betsy from Pike · This Old Man · Wait for the Wagon.